Designed in 1959, JL 57 and it’s companion armchair JL 77 have proved to be two of the Company’s most enduring and successful chairs. The construction of the strong mortice joints with interlocking tenons at each corner of the seat, alleviates the need for additional stretchers. This detail gives Møllers chairs a light elegant appearance and is particularly true of JL 57 and JL 77. 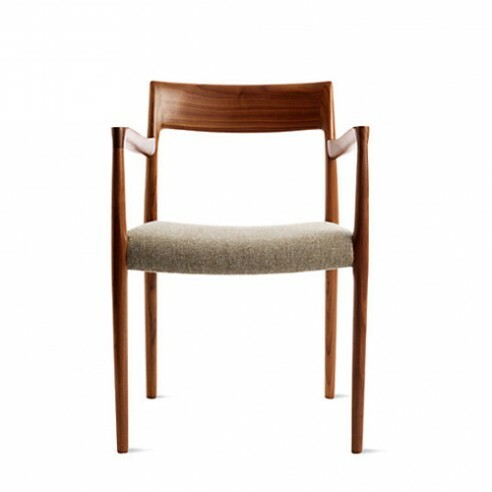 Like all Møller chairs the seat can be in woven paper cord of upholstered in a wide range of fabrics or leathers.